The apartment is located in a very quiet location, but also near the beach, supermarket, restaurant etc ... All guests of this house, also an underground parking space is available. 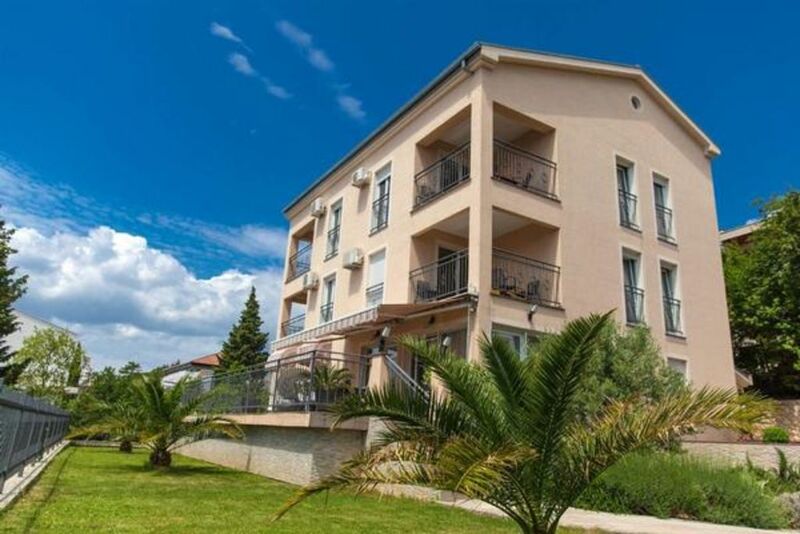 This modern, tastefully furnished apartment is located in the popular resort of Crikvenica. Not far from the center and the famous sandy beach. It has a living-dining room with kitchen, in which there is a pull-out couch for 1 person, two bedrooms and thus can accommodate up to 4-5 people. The balcony has a seating and offers a wonderful view of the sea. Air conditioning (for a fee), Internet, satellite Tv are available. - Air conditioning / fans: per object and day costs of 5 EUR (optional). Air conditioning (per object and day, included in the price 5 EUR).